Lyme disease is defined as “a bacterial infection transmitted by a tick”. The most common species of bacteria found behind the occurrence of the disease are borrelia burgdorferi sensu stricto, Borrelia afzelii and Borrelia garinii. The disease was identified for the first time in the year 1975 in the towns of Lyme and Old Lyme in Connecticut, USA. The disease was thus named after these towns. The disease is seen to transmit in most cases from the bite of an infected tick. 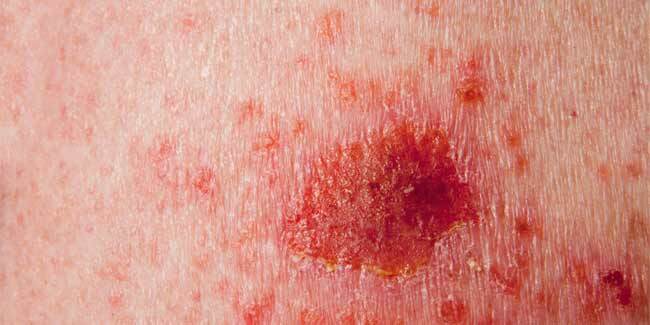 The earliest symptoms of the disease are found to be a rash that quickly spreads through the body. Later, the patient is seen to experience symptomatic conditions like headache, fever and depression. The disease was identified for the first time when medical researchers found children being diagnosed in large numbers with what was initially thought to be juvenile rheumatoid arthritis. It was later found that many of these children lived quite close to wooded areas that are flooded with infected ticks. The condition was known to start especially in the start of the summer season, a time when the number of ticks starts to increase exponentially. The patients started complaining of peculiar rashes that formed in the shape of a bull’s eye and many of them started recalling that they had been bitten by a tick at the area where the rash has formed. The patients were also exhibiting symptoms of arthritis. It was later found out through research studies that the condition was caused by deer ticks that were infected by the bacteria borrelia burgdorferi sensu strict. Some of the animals that are known to carry the infected ticks are chipmunks, squirrels, foxes, skunks, weasels, raccoons and horses. These ticks were overwhelmingly found in states like Connecticut, Maryland, New York, Wisconsin and New Jersey. Although the lyme disease was initially thought to be prevalent only in North America and Europe, they came to be found in parts of Asia and South America as well. 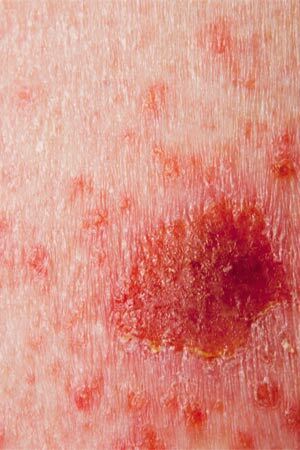 It is important to remember that patients experiencing symptoms of rashes and periodic bouts of fever must immediately seek the advice of a doctor. After reviewing the conditions, the doctor is most likely to prescribe the patient antibiotics. The diagnosis of the condition is mostly done clinically based on the patient’s statement of symptoms and other additional tests like serological blood tests. The doctors should keep in mind that the symptoms displayed by the patient may even point towards other conditions that exhibit similar symptoms. And therefore confirmation diagnostic tests must be carried out for lyme disease. If the condition is left untreated, it could rapidly worsen into extreme arthritis and affect organs like the heart and the nerves. Meningitis and temporary paralysis of the facial muscles are some of the after effects if the condition is not properly diagnosed and treated. In majority of the cases, with proper treatment methods and good dosage of antibiotics, patients are known to recover completely with very less chances of recurrence. Prevention is a very important aspect when it comes to lyme disease. People living close to wooded areas must always wear protective clothing like boots and gloves to avoid the bite of infected ticks. Lyme disease can also be prevented by taking good care of pets. Pets should be washed and cleaned properly before they are introduced into the house. Communities are known to use guinea fowl as they are voracious eaters of insects, especially ticks. Also, if primary hosts like deer numbers are reduced in a particular area, the number of ticks will also come down as their transmission rate can be strictly brought down.